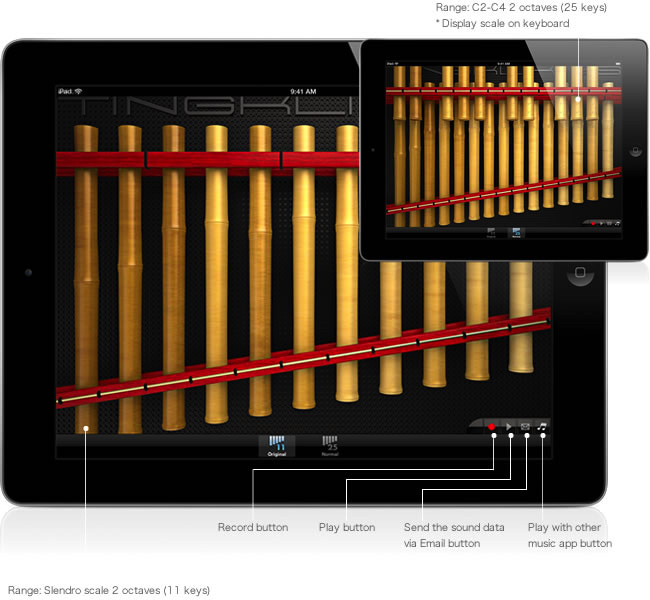 Tingklik is a Balinese xylophone made of 11 bamboo pipes. Unlike the basic Western scale of seven notes, Tingklik is tuned to a 5-tone pentatonic scale in two octaves, called Slendro. TingklikSS features 2 play screens. 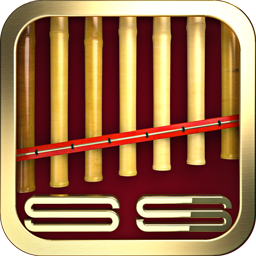 The original button screen contains the Tingklik's Slendro scale and the normal button screen contains the Western musical scale. 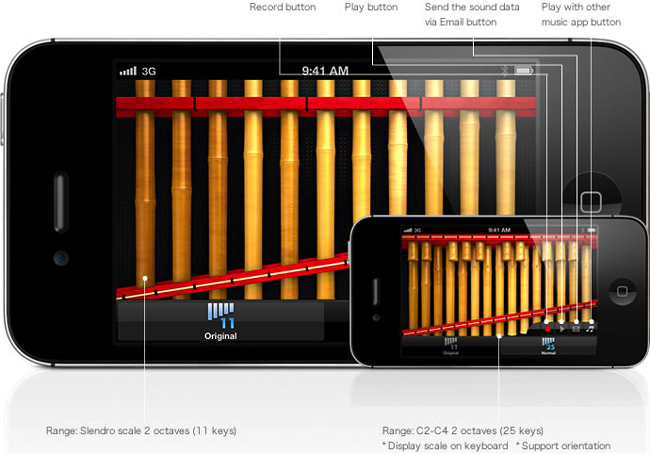 On the normal button screen, you can play it as a new percussion instrument.